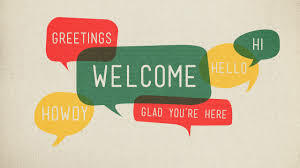 A warm welcome to all children moving up to their new classes and all the new children who are moving into Y3. All the staff at Deepcar St John's are excited for the start of this new year and hope that this year is packed with learning, enjoyment and progress. Our Facebook page will keep you up-to-date with current activities in school, which you can find in the 'News' tab of our website. Keep checking Facebook and the website for updates on children's learning and important messages. Have a great year!